A Happy New Year! 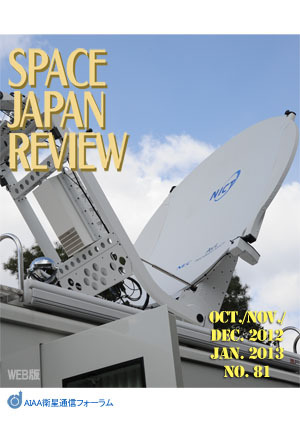 We would like to continue transmitting the useful information through the Space Japan Review. We appreciate your continuous support for the JFSC. "The author participated in the Joint Conference of 30th AIAA International Communications Satellite Systems Conference (ICSSC) and 18th Ka and Broadband Communications, Navigation and Earth Observation Conference held in Ottawa on September 25-27, 2012. At first, the report focuses on the content of the panel discussion that the author attended as one of the panelists, then some topics are reported. The other topics are expected to be reported by any specialist." "NICT's Small Optical Transponder (SOTA)"